Welcome back lovelies! 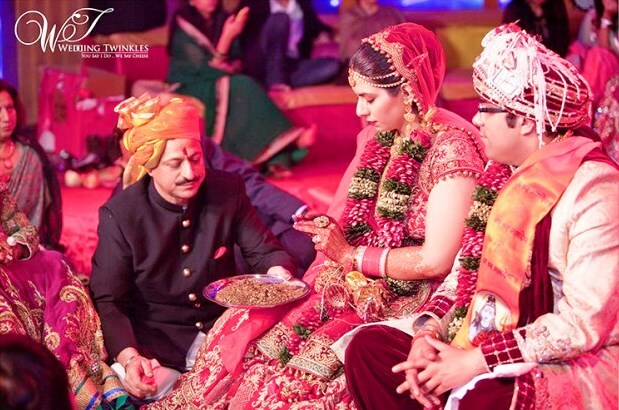 We are continuing with our series of real weddings, now with the talented team at Wedding Twinkles, Delhi. I’m sure all you girls have thought about your dream wedding even before meeting your prince charming. That’s why I’m so excited to show you this modern day fairy tale -the kind of wedding that dreams are made of. Straight out of our Handpicked Vendor Guide, Wedding Twinkles has captured such beautiful images of Kanika and Yuvraj as they get married in a dazzling ceremony at Umrao hotels, Delhi.The first thing that comes to one’s mind on seeing these images is decadence! 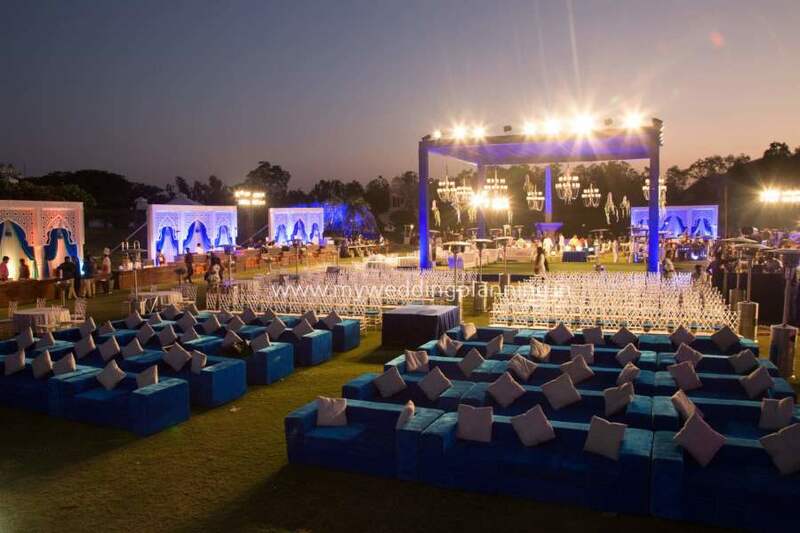 The exquisite and posh Umrao Hotel makes a grand venue, and this wedding exudes regal grandeur and glam. This wedding has it all. A spectacular setting. Jaw dropping décor. Great use of flowers and lighting techniques. And a dazzling couple.This is grand and opulent wedding perfection! Kanika is a vision to behold in her resplendent attire. She looks sensational in her deep ruby red lehenga and impeccable hair and make-up. I love her maatha patti and gold jewellery, it gives the outfit a royal look! All eyes are on Kanika as the princess bride makes a grand entry in a carriage, just out of a fairy tale. Oh sweet glamour! Doesn’t the jai mal picture look surreal? 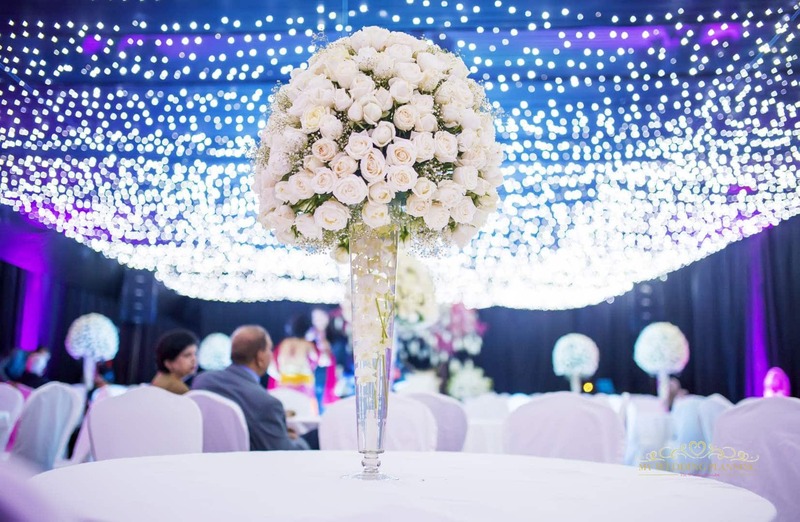 From the entry of the bride in a carriage, to an extravagant jai mal to heart warming pictures with family and friends, this wedding is absolutely fabulous! Agree guys? In our next segment, we will get you some amazing bridal portraits captured by Wedding Twinkles. Stay tuned!